Six straight 20-victory seasons en route to the record (363) for a left-hander. 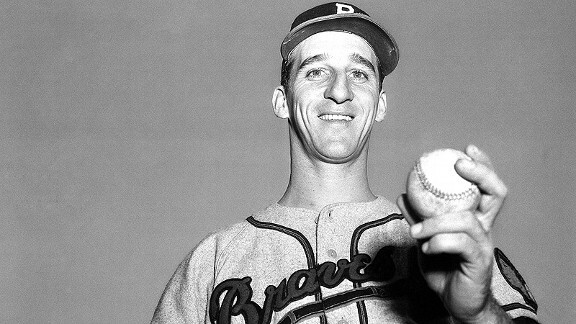 But individual games tell the story: 18 strikeouts in a 15-inning game against the Cubs; the famous 16-inning, 1-0 loss to 25-year-old Juan Marichal when Spahn was 42; no-hitters at 39 and 40. Led the NL in strikeouts four straight years with a fastball Johnny Mize said "does tricks as it reaches the plate."